Milano Sport's Gamma Jacket has a fixed waterproof/breathable liner and a removable quilted thermal liner. Its brushed lining and adjustable snap to collar gives excellent comfort in all weather conditions. Adjustable Velcro retained strap to cuff, upper arms and lower arms to reduce billowing. Two external vents to chest and two to lower back with zipper closure. Adjustable twin Velcro retained belts to waist. 2 external pockets and a single internal pocket. Stretch panels to upper torso and back of shoulders. 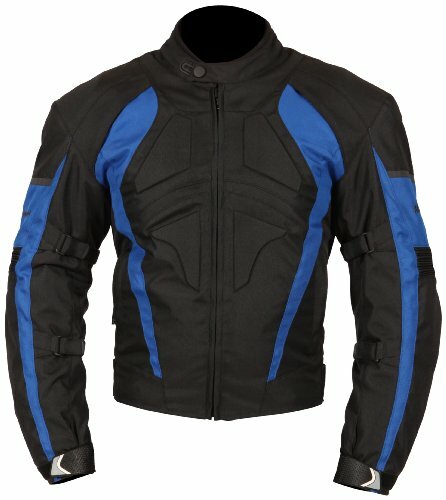 Padded panels to front and rear of jacket. Removable CE approved armor to shoulders and elbows. Reflective stripes to upper arms and back for added night time visibility. If you have any questions about this product by Milano Sport, contact us by completing and submitting the form below. If you are looking for a specif part number, please include it with your message.